Get ready for some engaging, meaningful, and FUN math stations.... all while saving ink! That's right.... this new monthly series is all in black and white - which makes for easy printing and prep... saving you time and money! 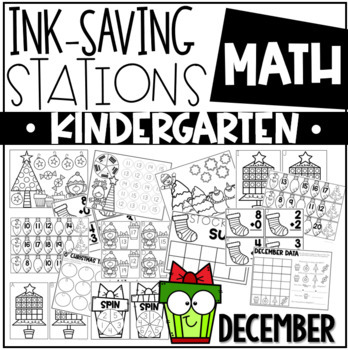 This Kindergarten December MATH pack includes 10 activities for your stations or small groups! Please take a look at the preview for a closer look at each station included.